How much food is too much food? How much is not enough? It’s essential to eat a well-balanced diet so your kids have the best chance to grow up healthy and strong. 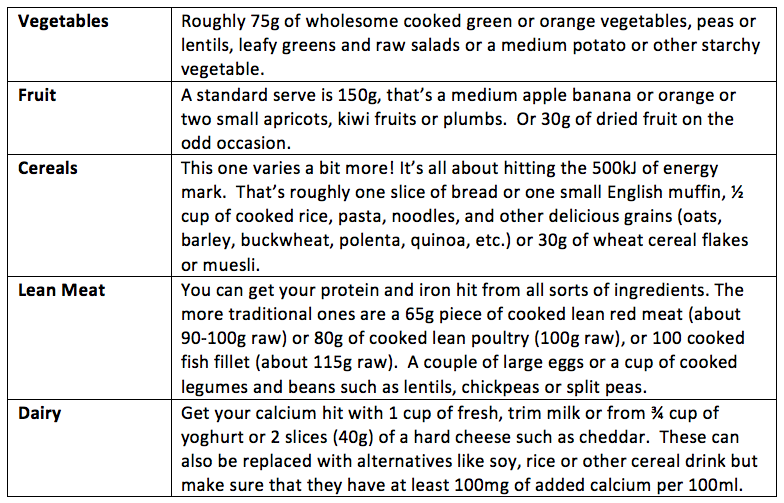 The Department of Health and Ageing suggest the following table to work out how many serves per day is generally good for our little ones. Of course every tummy is different so make sure you monitor how each of your children reacts to food and seek medical attention when necessary. But what exactly is a serve? 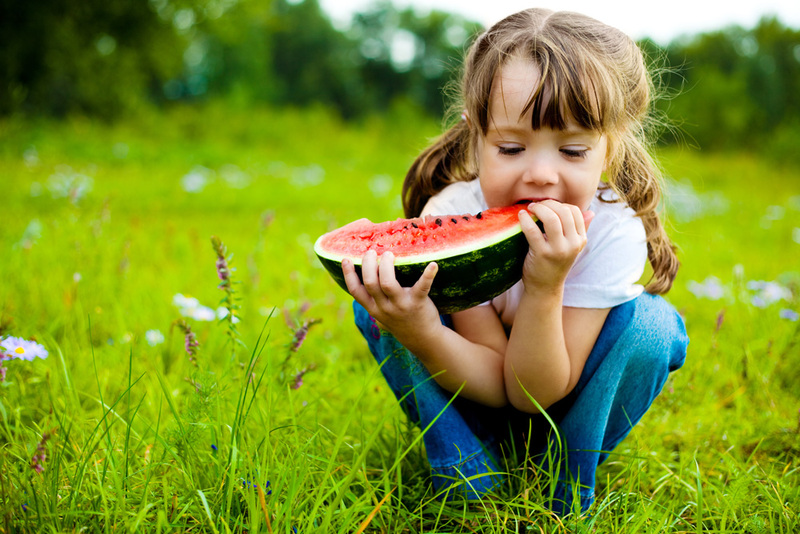 Although adults usually decide what kids eat, we all know that kids eat what is available. Therefore, surrounding them with healthier options leaves them no choice but to eat better food. Small changes in five key areas can make a huge difference and add up to real results: eat more fruits and vegetables, consume less sugar and fat, eat healthier snacks, watch portion size, and eat together as a family.